For as long as anyone can remember, hotels have operated under a 2/3 pm to 11 am/12pm check-in / check-out schedule. However, this long-held operational tactic is coming under huge strain. Due to the continued growth of long haul international travel, more of your guests than ever before are arriving from far-flung destinations meaning that you can no longer expect them to arrive at predictable hours. With guests now traipsing in at all hours of the day and night. And as a result, the traditional check-in time of 2 pm or 3 pm has become one of the most hated aspects of the hotel stay. Just put yourself in your guest’s shoes. Arriving on a 15-hour flight with no sleep – only to be told “sorry check-in isn’t for another 5 hours.” It’s a terrible way to start your relationship with the guest. The most innovative hotels have realized there’s a way to profit from this trend. They understand they can turn this frustration into an opportunity. 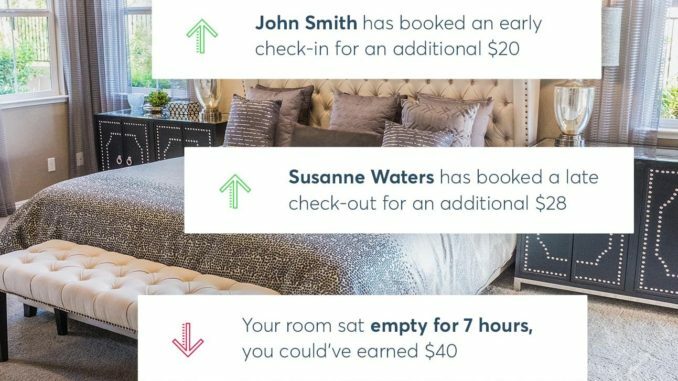 Some hotels have started offering the option to guarantee early check-ins for a price and using their unsold rooms from the night before in order to do so. This is a win-win as it gives the guest the room when they need it and gives the hotel a new way of generating incremental revenue from unsold rooms. Most importantly, there is no cost associated with this revenue. As you are just giving your guests access to their room a little earlier, you don’t need to re-clean the room, and as a result, all revenue generated drops to the bottom line as pure profit. Hoteliers will know that in order for this approach to gain acceptance at their hotel, it cannot impact existing operations or add any workload to your front desk team. As a result, it is important to use technology to automate this process. Automatically analyse your inventory each day to identify unsold rooms that can be used to offer early check-in / late check-outs. Identify which guests are leaving / departing the room category with availability in order to offer them the early check-in or late check-out. Send the offer to the specific guest via SMS or email at the optimum time. Calculate the optimum price to charge the guest based on supply and demand at the hotel. Post the new arrival / departure time and extra charge back to the PMS. After years of running early check-in and late check-out programs at hotels, we have learnt there are 4 keys to optimizing the revenue generated. It has to be offered to the guest before they arrive. If it is offered at the front desk the guest knows the room is available and will often refuse to pay. It has to be offered around 24 hours before the guest’s arrival. If offered earlier, conversion rates drop as this problem is not front of mind for the guest. It has to be offered as a standalone message. If offered as part of a wider upselling programme – you will see much lower conversion rates. Early check-ins and late check-outs should be dynamically priced based on the occupancy of the hotel to ensure optimum revenue performance. 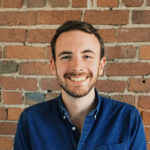 Max Shepherd-Cross is CEO of HotelFlex, an inventory management tool designed to generate revenue from unsold rooms. He has spent his career investing in hotels and hotel operating companies at CBRE and Prudential Financial Inc, giving him considerable experience in the financial and operational performance of hotels.